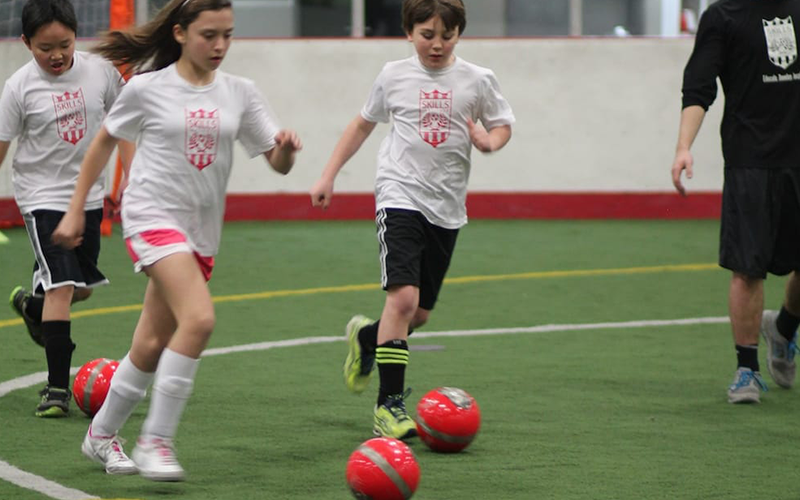 Skills Institute is a developmental soccer program for boys and girls ages 5-12 years (we will only be offering 5/6 & 7/8 classes in Spring 2019). 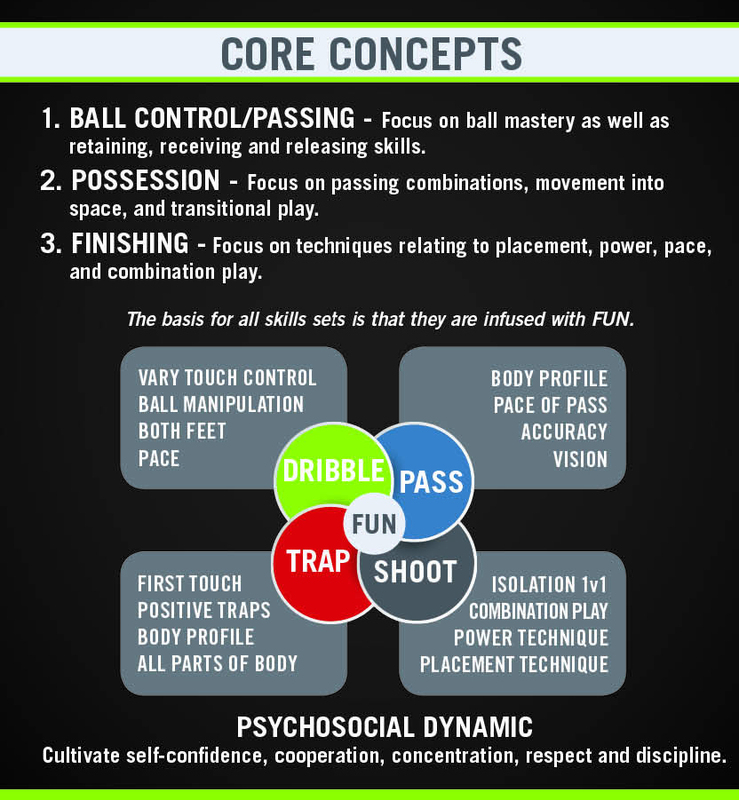 With a 8:1 player to coach ratio, players will receive plenty of one on one attention as they explore their potential in the target areas of soccer. Classes will be offered in groups by age and skill level. Throughout each session players will be evaluated, experience chalk talks, video analysis, and the occasional homework assignment to practice at home. Players will walk away more confident, equipped for their next right step, and ready for life’s challenges on and off the field. Focus will be on basic fundamentals of player development: dribbling, passing, shooting, trapping and how to use them effectively in a game. 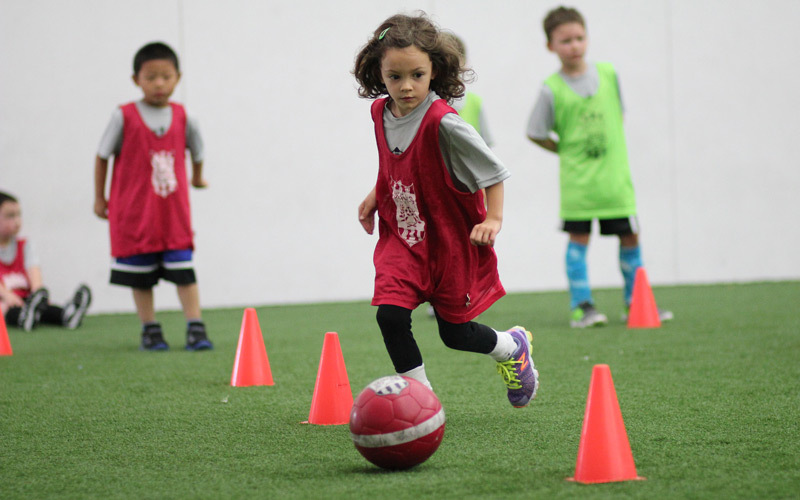 Level 1 will take players through weekly sessions of fundamental skill building and competitive drills/games to develop self-confidence in practice and game situations. 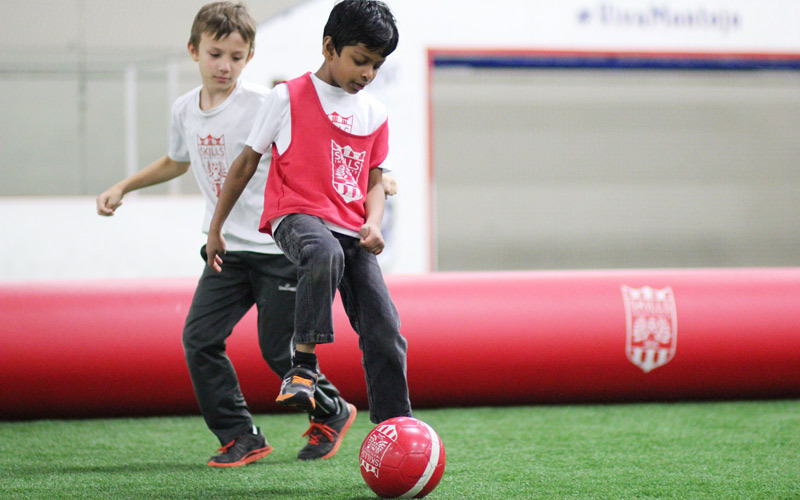 Focus will be on continual development of individual technique, history of the game, positioning, and speed and agility. Level 2 will take players through a challenging class of driving competence of the fundamentals, defining of positions, and development of personal strengths and how to contribute those strengths to enhance team play. Focus will be on individual position specific training, tactical insight, systems of play, as well as speed and agility. Level 3 will take players through a challenging weekly class of mastery of the fundamentals, position responsibilities, tactical approaches, as well as attacking/defending.